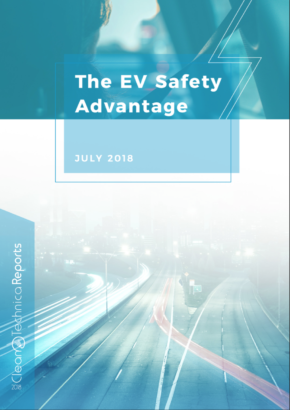 “Without these (federal and state tax) credits, this (electric vehicle) market is likely to crash.” This is the prognostication in a new report from Edmunds, the car information company. While the report has some great data and analysis, especially regarding the boom and bust electric vehicle (EV) sales situation that occurred in the US state of Georgia, the ultimate conclusion just gets it wrong. As you can see from the chart below, sales of EVs were affected quite differently by the existence and then removal of the Georgia tax credit. Sales of models from Tesla and the BMW i3 were relatively flat during this period, whereas Nissan LEAF sales increased more than 10 times and then dropped back down once the tax credit was eliminated. The combination of both the federal and Georgia state tax credit, the LEAF’s relative low cost, and savings in monthly gas purchases made the net payment on the LEAF extremely affordable. During the timeframe that the credit was available, the software company I worked for had about 300 employees located at its Atlanta headquarters and an estimated 20 of them had purchased Nissan LEAFs during the period the credit was available. My employer also worked with the property management firm of the office building to install a few EV chargers in the parking garage. I remember a co-worker driving me to the Hartsfield airport after a meeting in Atlanta and telling me that he and many of his co-workers viewed the car as “basically free.” That is how many EV buyers in the Atlanta market viewed the LEAF. It became a small phenomenon where many people with 20–40 mile one-way commutes and who owned a second car realized that when accounting for gasoline purchase savings, the LEAF was a “nearly free” commuter car. In other words, the Georgia LEAF situation was a perfect storm. The people in Georgia who purchased the LEAF were not necessarily typical early adopter EV purchasers, but rather smart consumers who took advantage of a great deal. 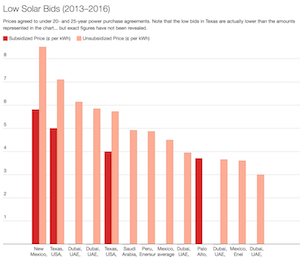 Once the Georgia state incentives were taken away, those “deal-seeking” buyers also disappeared. But sales from the true early adopter EV buyers, such as those who purchased the Tesla Model S and BMW i3, remained at roughly the same level as before, during, and after the tax credit. The Georgia tax credit created artificial demand for the LEAF in particular and had only a minor impact on other electric cars. While Edmunds recognizes this disparity in the market, it still claims that the loss of incentives, and especially the loss of the federal tax credit, would mean a likely crash of the EV market. 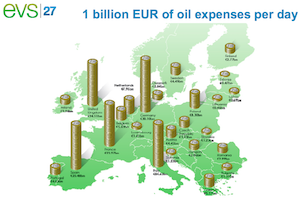 But its mistake is to try and apply what happened in Georgia to the broader and future market for EVs. The LEAF had an 84-mile battery electric range — barely enough for most suburban commuters. The LEAF was also not particularly attractive in the eyes of many, and so it was a small, unexciting, and one-dimensional car. But, with enough tax incentives, the LEAF became a “no brainer” EV purchase for some. Assuming the end of the federal tax credit will take the bottom out of the EV market is simply not logical. First, it is important to recognize that the $7,500 tax credit is just that, a credit. Not everyone will receive it. You don’t get to apply it to your “walk-off the dealer lot” purchase price. If you lease your EV, the lease financing company gets the tax credit and in return the lessee usually sees a lower monthly payment. If you buy an EV, you may receive the maximum of the $7,500 credit (for pure BEVs) or nothing — depending on your tax situation. The point is that there is a fallacy that the federal tax credit reduces the cost of an EV by $7,500. It doesn’t. You still have to purchase the vehicle at its full price, but can recoup up to $7,500 in a tax credit on your next year’s taxes, or lower lease payments. 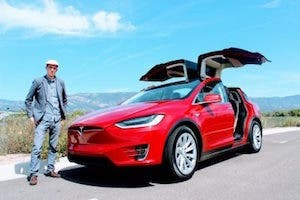 But when they are at a car dealer or Tesla sales center, most buyers probably don’t know if or how much of the tax credit they may receive, unless they work with a tax advisor or software and estimate their tax liability for the year. Whether EV buyers ultimately receive the full benefit of the federal tax credit or not, I believe its loss is more psychological than actual. Meaning that many buyers rationalize paying more for an EV than a non EV, assuming that tax credits will help defray the cost difference. 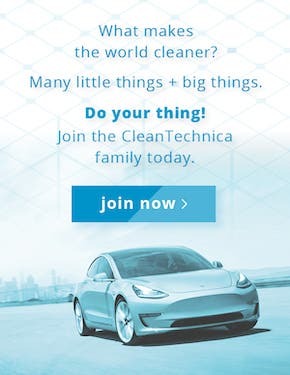 These tax credits drive people to buy specific EVs because: A) They are now within these buyer’s price range or are simply much more attractive financially; and B) They make less desirable (e.g., under 100 miles of range) and lower-cost EVs acceptable because of the low-cost lease payments. And the flip side of this last point is something that Edmunds did not mention in its report. EVs like the Nissan LEAF in Georgia and the Fiat 500e in California sold relatively well because they could be leased typically for around or under $200 per month. But many of the next wave of EVs to hit the market in 2017 to 2019 will be higher-end BEVs or PHEVs from Tesla, Jaguar, Volvo, Audi, Mercedes, etc., and be positioned against other luxury-brand models. The federal tax credit will be cut in half at some point in 2018 and eventually disappear in 2019 for Tesla buyers, and not long after for Nissan and GM EV buyers. Tesla has the brand power to not be impacted by the loss of the tax credit. And buyers of EVs from other luxury brands will generally have the financial means to pay for the current premium cost associated with PHEVs/EVs if there is one. The loss of the federal credit may have a small negative impact on EVs with shorter ranges and those that are otherwise not highly attractive to non-early adopters. But the next wave of EVs will have longer ranges and will not be viewed as bargain commuter cars like the LEAF was in Georgia. 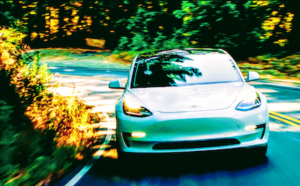 As such, the unique increase and then decline in LEAF sales that was seen in Georgia will not likely repeat for any other models based on the availability and then loss of the federal tax credit. We will not see the bottom drop out of the EV market. What Edmunds misses, among other things, is that lower battery prices, longer range, greater awareness, and more model availability and competition will lead to more sales of EVs — with or without the federal tax credit. Sorry, Edmunds, nice analysis, but bad interpretation.